CNBLUE has unveiled their first teaser video for their first full-length album. On March 7th, FnC Music released a teaser for their new album “First Step” on Naver and CNBLUE’s official site at 12PM KST. The teaser video had been filmed in Japan last month and revealed more mature sides of the four handsome boys. After the first teaser video, CNBLUE will also release another teaser on the 14th, and will finally release their album and title track music video on March 21st. This entry was posted on March 7, 2011 by heedina. 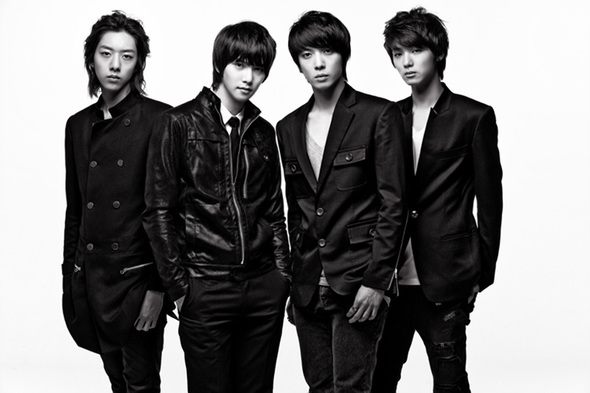 It was filed under Band, CN Blue, Comeback, News, Official, Realese, teaser, Videos and was tagged with CN Blue.